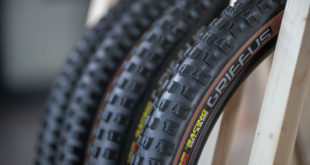 Continental has launched the GP5000 clincher and GP5000 tubeless tyres. This is the first time that the brand will have a tubeless option for a tyre, 14 years after its predecessor the GP4000 was first introduced. 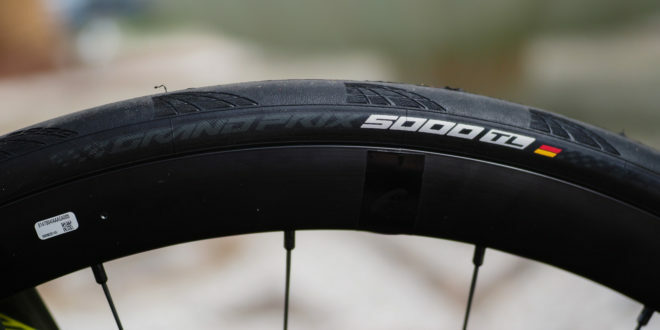 The GP5000 clincher tyre is constructed from three plies of 110 TPI material with a number of developments that contribute to the ‘improved performance’. Continental has claimed that it offers 12 per cent better rolling resistance and 20 per cent more puncture protection. 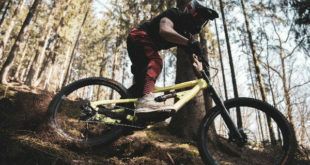 The brand has also said that the tubeless tyre provides five per cent lower rolling resistance and five per cent improved puncture resistance over the clincher due to less material in the construction and less friction. 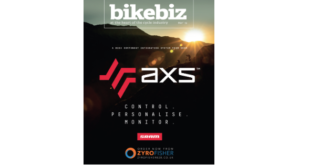 The tubeless is available in 25mm through to 32mm and the clincher is available from 23mm up to 32mm, and both will also offer a 650b option in 28mm.